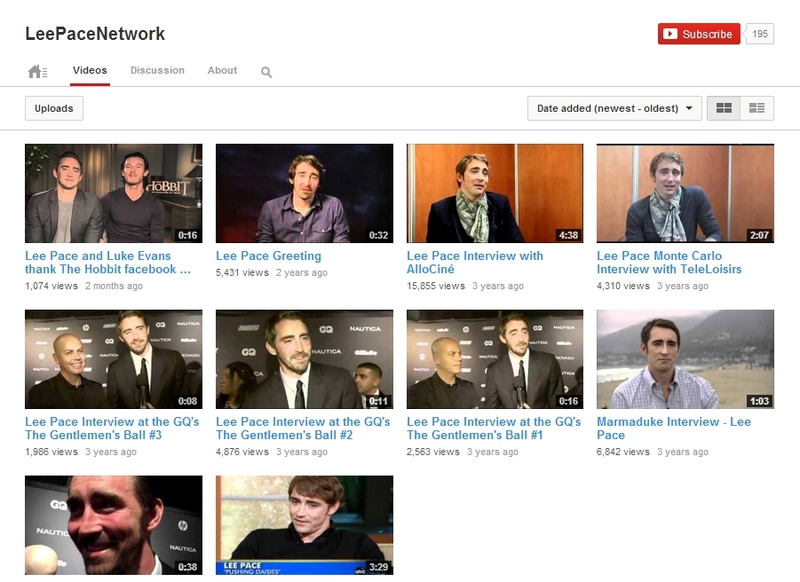 Lee Pace Network, found under the domain name leepace.info, is an un-official fan site. The webmaster has no affiliation with Mr. Pace, his management, family, friends, etc. The webmaster does not claim any ownership over the videos posted on the site, the pictures posted on the site, or the articles posted on the site. They are used for information and entertainment purposes only. If there are tags on the photos, they are used for promotional purposes only and in no way are meant to claim ownership over any of the photos. All photos, videos, articles, etc. are copyrighted to their original owners. All graphics are copyright to leepace.info unless stated otherwise. If there is something on this site that you would like taken down, please contact the webmaster and specify what before taking any further action, and it will be removed as soon as possible. No copyright infringement is intended. If leepace.info takes action in response to an Infringement Notice, it will make a good faith attempt to contact the party that made such content available by means of the most recent email address, if any, provided by such party to leepace.info.